Before dessert stations, the best way to appeal to everyone’s tastes was good old fashioned Neapolitan ice cream. This classic crowd-pleaser was the perfect blend of flavors for all of your party guests, and the color combination has become an inspiration for everything from birthdays to weddings. 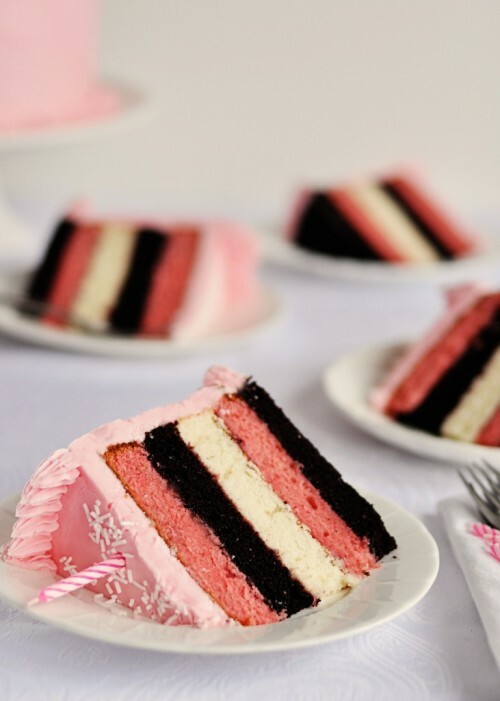 As a tribute to this classic blend of flavors, we’ve rounded up these clever Neapolitan recipes that would be perfect for any event! 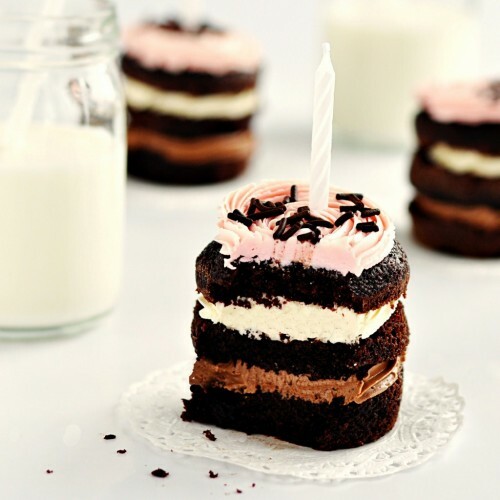 That sweet sense of nostalgia led to this adorable Neapolitan cake in a jar. 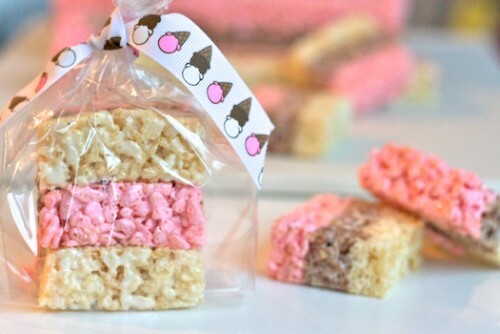 Can’t you just picture these all lined up for dessert, or even as favors at a beautiful vintage-inspired wedding? Lizzy mentions that at a fundraiser these cupcakes “were a big hit and people were practically fighting over them.” Since we don’t want to any of that, be sure to plan ahead and make plenty to go around. They really are that good! Never has pound cake looked so beautiful, and with the additional suggestion of Neapolitan Pound Cake Sundaes, this recipe is a keeper! Here’s another one, using homemade strawberry ice cream! Great collection of recipes – thank you!